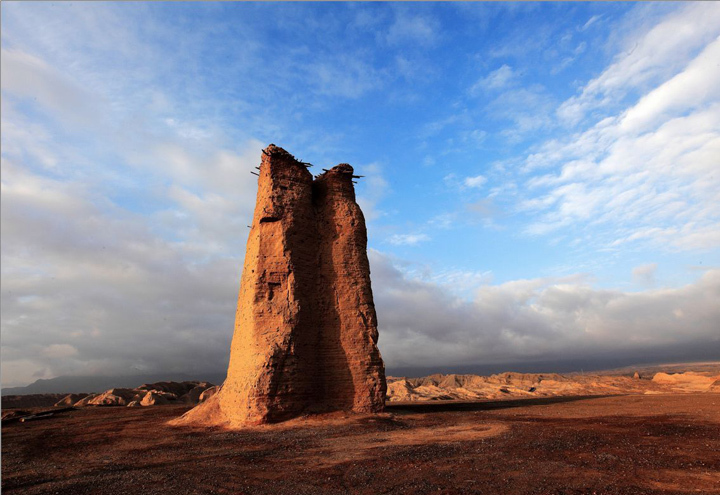 Drive to ancient Turpan town, an oasis town 154 meters below sea level. 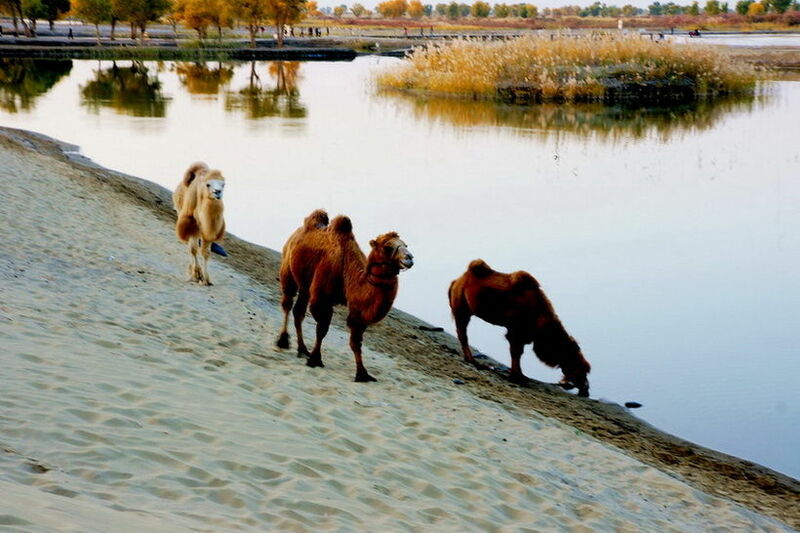 Full day tour in Turpan, including the Jiao He Ruins (with a history of over 2500 years), the Karez underground irrigation system, Grape Valley (Turpan is famous for its grapes, especially the seedless variety, called sultanas when dried). Overnight at Turpan. 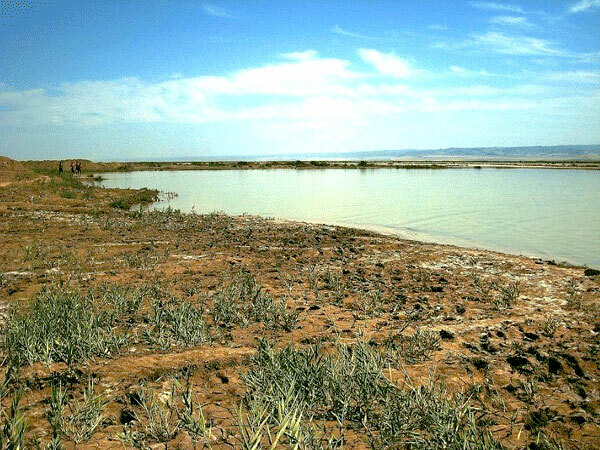 Go and explore the lowest elevation in China – Aydingkol Lake. Only about 50 km from Turpan city, while the road condition is poor and bumpy. 4WD will be ready for you to get to the lake. 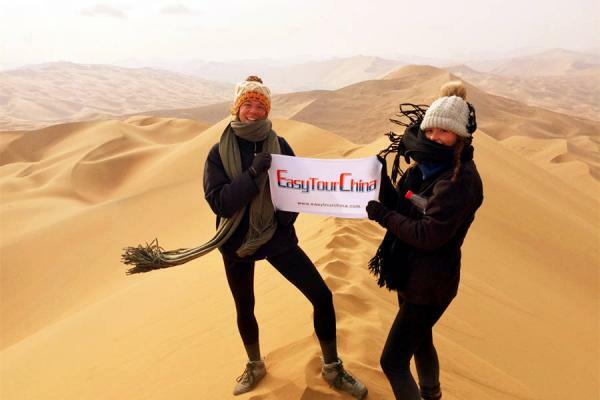 In the afternoon, continue to explore the Flaming Mountain, the ruins of Gao Chang - an ancient Chinese Silk Road garrison town (where you will be taken by donkey cart to visit the temple area), the Emin Minaret and the Bezeklik Caves, where “Bezeklik” means “a place with beautiful decorations”. The final stop today is Tuyoq Village where it is an oasis-village in the Taklamakan desert, with a well preserved Uyghur orientation with very few outsiders’ footprints. Drive 5 hours to Korla via express way (380km). En route we pass by Tianshan Mountain and also Bostun Lake - the largest reed base in China. 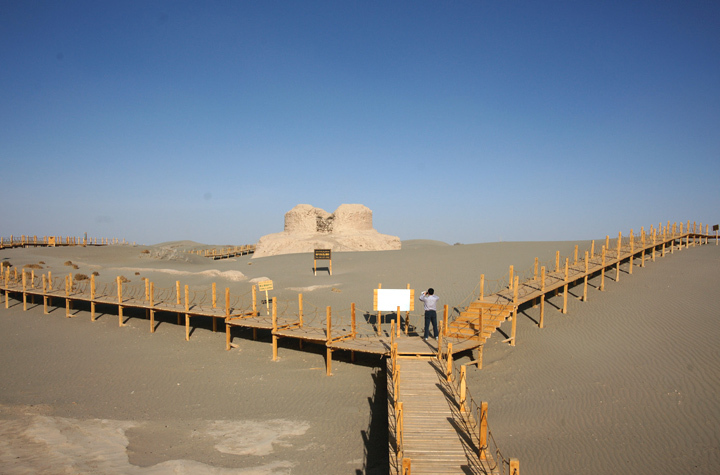 Visit the Lop Nur Village after arrival in Korla, where you will learn about the lost kingdom – Loulan. 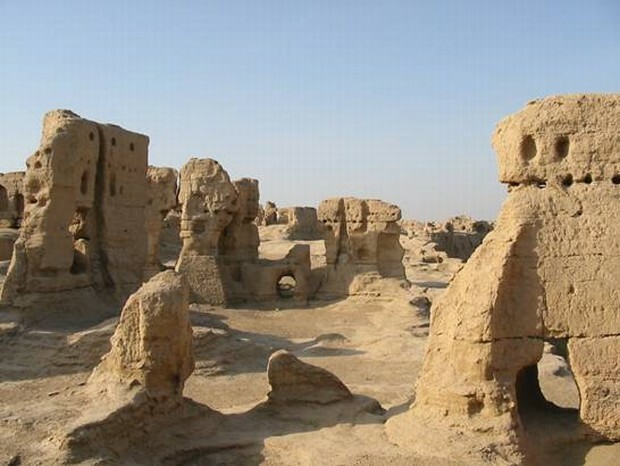 Drive about 3.5 hours to Kucha (280km), a quaint oasis town, once the center of a Buddhist civilization in the Tarim Basin. 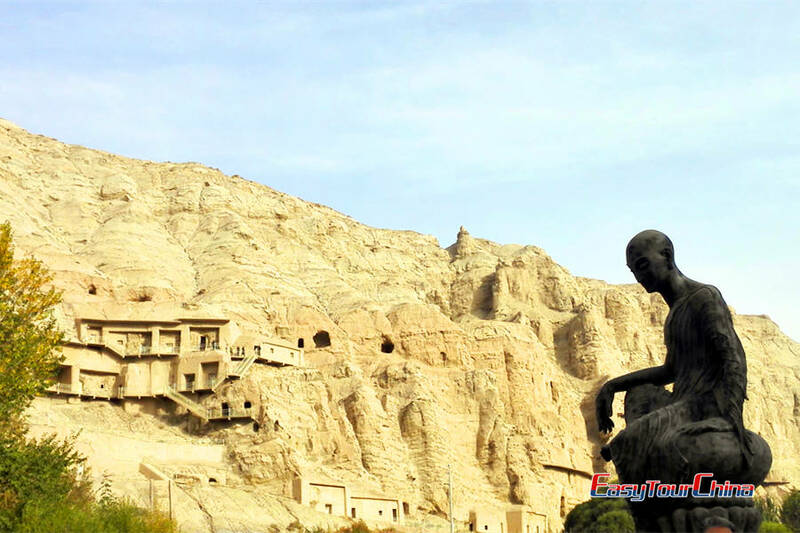 You will see the Kizil Thousand Buddha Caves or Kizil Grotto Temples, where boasts some of the most impressive Buddhist art in Central Asia and date to the third century. The surrounding countryside is with mulberry and poplar trees and streams. Explore Kizil Kagha Grotto and Kizil Kagha beacon tower - the oldest one now in China. On our way to the Kizilya Valley, where the rocks in the red mountain appear to be the result of a huge explosion, you will visit the ruins of the ancient city of Subashi, or "old Kucha. A long day ride (650km) to Hotan through Taklamakan Desert – the largest one in China. Estimated arrival time to Hotan is about 1800 pm. This road was the second desert highway in Taklimakan built in 2007. 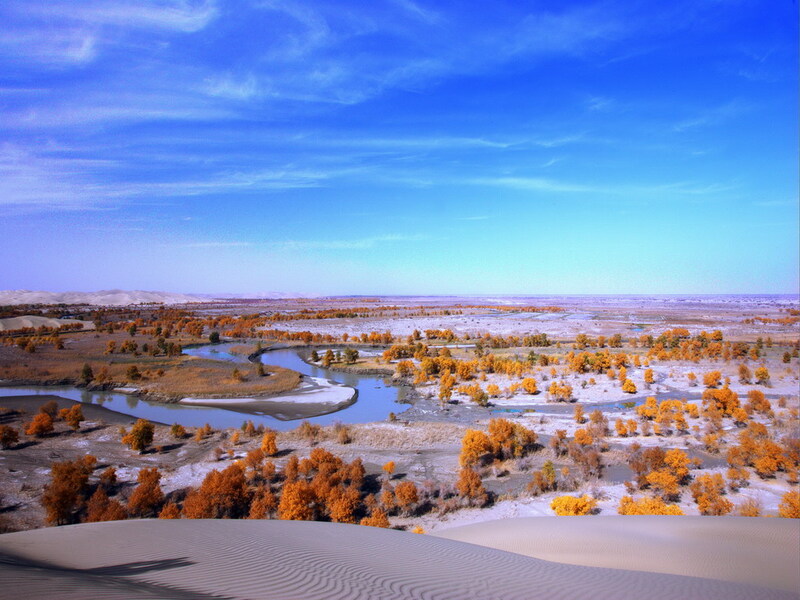 En route you will pass by Tarim River - the longest in-land river in China, and also possibly see some of the desert-surrounded local villages. 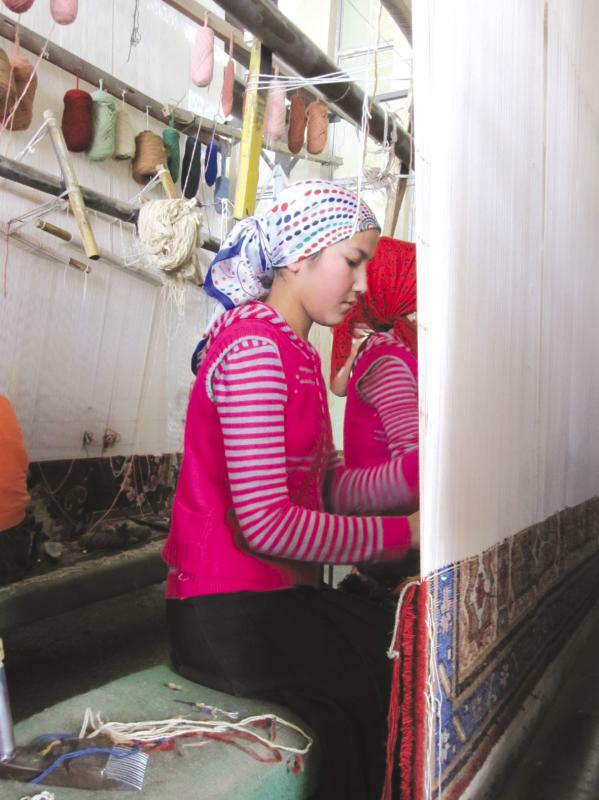 Take a half day tour of Hotan including the Jade River, Silk Village and a local Mosque. 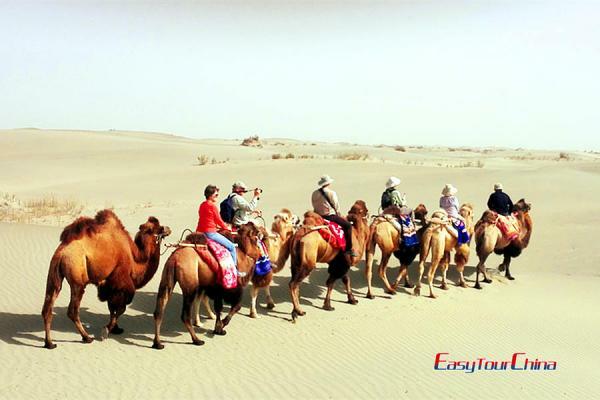 In the afternoon, drive half an hour deep into the desert and hop on a camel ride (3 hours). Camp overnight in the desert we sit beneath the enormous desert night sky, warming ourselves around a campfire. Today, continue the camel ride to visit the ruins of Rawak Temple, where you will see the ruin of the oldest pagoda of China. It is the only temple of Gandhara style (similar form as an Indian temple) which is quite well preserved in Hotan district. The Uygur word "rawak" means "pavilion". The Buddhist temple was in the center of a group of Buddhist pagodas. The temple was surrounded by a courtyard wall. Outside and inside the courtyard there were large numbers of frescos, clay sculptures and Buddha figures scattered around. Also some wall paintings were found. On them some stories about Buddhism were painted such as a map of Samsara. After driving back to Hotan city, visit the smallest Buddhist temple in the world called Damko temple ruins (120km, 1.5 hours ride). 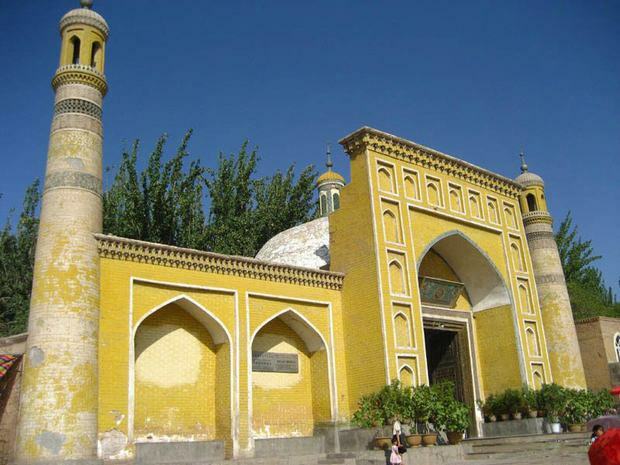 Drive about 10 hours to Kashgar (520 km), on the way, pay a short visit to the Yarkant King’s Tomb and have lunch at Yarkan (Shache). Free time at leisure after arrival. 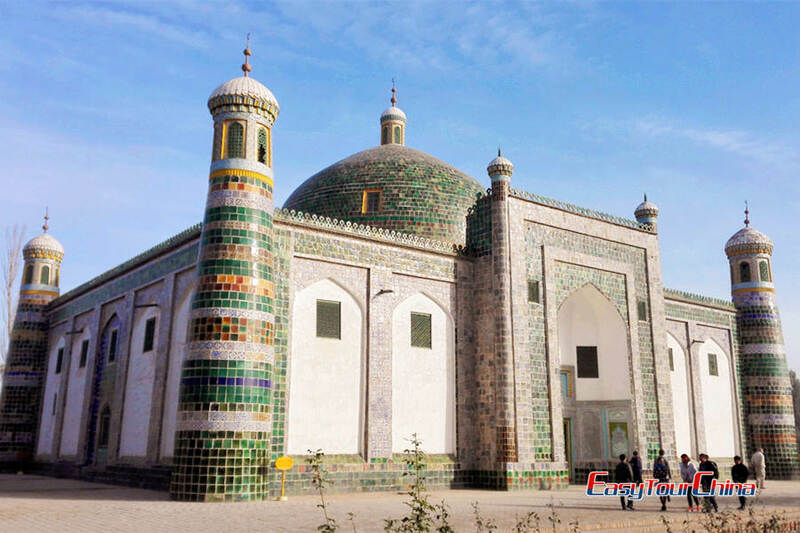 Kashgar is an oasis in the hostile Taklamakan Desert, which is a cultural and commercial crossroads.Take a city tour to the Idkah Mosque, Handcraft Street, like its name Kashgar was so called as the center of hand crafts such as iron, wood, cooper and gold products. Visit the unique local Bazaar. Then take a walk at the Old town of Kasghar and visit a Urgur family. Transfer to the airport and fly to Urumqi, connecting your flight to your next destination.